Brand : The Skater Co. 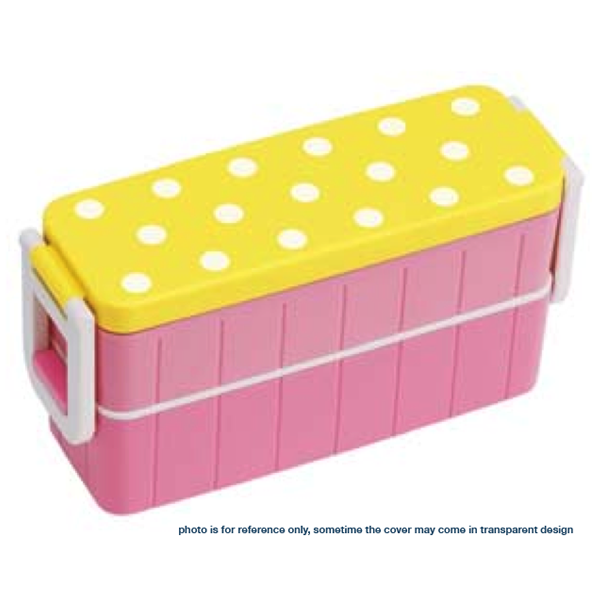 This BPA free Japanese style Air-tight Ultla Slim Double Decker Lunch Box is a two level lunch box that snaps together. The top layer compartment has a sliding divider to keep foods separate. The bottom layer has a plastic cover to keep sauces inside and with a short pair of slim design chopsticks. 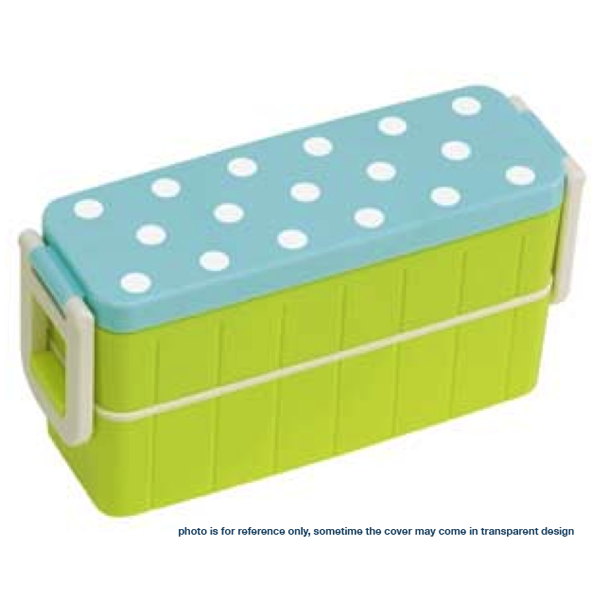 This ultra slim lunchbox measures 19.3cm long by 6.3cm wide and 8.9cm tall when snaped together, make the perfect lunch box to carry your meal to work or for packing your children's school lunches! Be the envy of all you co-workers or schoolmates!! Total capacity: 630ml (upper 300 ml, lower 330ml). Dimensions of the box: 6.3 cm wide x 19.3 cm long x 8.9 cm high (2.48" x 7.59" x 3.50"). The lid, stopper and chopstick made of Styrene Acrylonitrile Resin (SAN / AS) (safe temperature range: -20°C to 80°C (-4°F to 176°F)), the container and divider made of Polypropylene (PP) (recyclable and has the number "5" as its resin identification code) plastic (safe temperature range: -20°C to 140°C (-4°F to 284°F)) and packing made of Silicone (safe temperature range: -20°C to 140°C (-4°F to 284°F)). Billions of pre-packaged, single serve snacks, disposable plastic baggies and containers for taking home restaurant leftovers are consumed each year. They generate millions of tons of unnecessary waste, not to mention the natural resources required to make them in the first place. These conveniences cost consumers billions of dollars each year. By using reusable food containers or lunch box, we will drastically reduce the need of use-and-toss plastic baggies, and wraps. Do not place near fire. The inner compartments are microwave and dishwasher safe, with the lids removed. Handwashing is recommended for the lids. Avoid using abrasive cleansers or sponges. Please shorten the heating time when heating oily, water-rich food. Please shorten the heating time if the amount of the food is small. Wash the container before the first time use, or the use after long-time storage.